Awesome Friday! 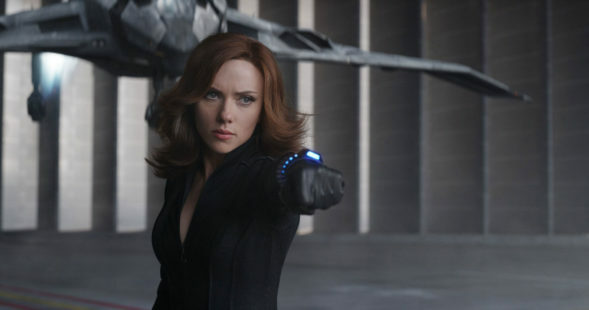 » Blog Archive Awesome: Marvel is Finally Making a Black Widow Movie - Awesome Friday! Variety reports that up and comer Jac Schaeffer has been hired to write the script. She doesn’t have many credits to her name yet but her script for “The Shower” ended up on the Black List and impressed Anne Hathaway enough that she hired Schaeffer to write Nasty Women, a female version of Dirty Rotten Scoundrels (ed. note: that also sounds awesome). There’s no word from Marvel or Scarlett Johansson yet and the movie doesn’t even have a green light yet, but so many people have waited so long for this movie that it’s hard to not get excited about it. There’s no word on what kind of movie it will even be but if you’re asking me (and you are because you are reading my blog): here’s hoping it’s an awesome spy thriller set in the Marvel Cinematic Universe’s present. Then again if it’s a 90s set prequel (like Captain Marvel is meant to be) then it could basically re-do Atomic Blonde but with Black Widow and now I’m wondering if anyone has called David Leitch yet, but then again a Black Widow movie with a female writer needs a female director so let’s call Michelle MacLaren instead. Seriously, Michelle MacLaren is awesome and should be making all kinds of movies. There’s nothing else to tell yet folks but you heard it here third: There’s a Black Widow movie in development.